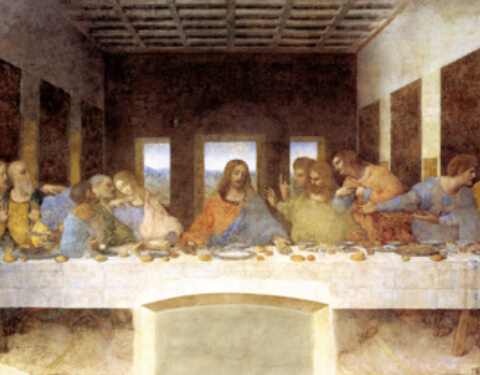 Leonardo da Vinci was born in 1452 in Anchiano, Tuscany (now Italy). When he was 15 he began an apprenticeship with Andrea del Verrocchio, of Florence. De Vinci continued to refine his painting and sculpting until he became an independent master in 1478. Throughout his career he was commissioned for various pieces, however, he is best known for the Mona Lisa and The Last Supper. If you study history and Da Vinci there are stories about the sketches in his notebook. They were early glimpses of a helicopter and a self-propelled cart. In modern day he would have been considered an inventor, however, during his time the inventions would have been too expensive to make or the materials were hard to come by. Over 60 fully-built replicas of his inventions are making their way to the Carnegie Science center for De Vinci The Exhibition starting February 16th. The Carnegie Science Center’s PPG Pavilion will be filled with the inventions as well as 20 pieces fo fine art and dozens of displays highlighting his life. Da Vinci The Exhibition runs from Saturday, February 16th through September 2, 2019. Tickets to the exhibit are extra from the general admission, but both can be purchased as an Adult combo for $29.90, Senior combo for $24.90 and Child combo for $21.90. If you are a member, Da Vinci The Exhibition is $8.95. For more information and to purchase tickets visit carnegiesciencecenter.org. Need some more things to do: visit Cold Weather, Cold Beer and for a bite to eat in the North Shore Check out Southern Tier Brewing.